During the holidays the mission of the U. S. Marine Corps Reserve of Fresno, California is to collect a new, unwrapped toy for a child that will other wise not get a toy during Christmas. In the months of October, November and December each year the Marine Corp with the help of churches and non-profit organizations distribute Christmas gifts to needy children in the community. The primary goal of "Toys for Tots" campaign is to deliver a new toy at Christmas with a message of hope to less fortunate youngsters that will assist them in becoming responsible, productive, patriotic citizens. 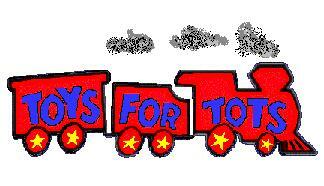 Fourwinds Lodge assist the U.S. States Marines "Toys for Tots" campaign by distrbuting the toys in the community. Our organization also teams up with the Fresno Unitedway and Winchell School of Fresno, California to assist the U. S. Marines in the completions of there mission. These are a few pictures of the Fourwinds Lodge members and volunteers, and the Winchell School staff at the "Toys for Tots" activity held on December 20, 2012. 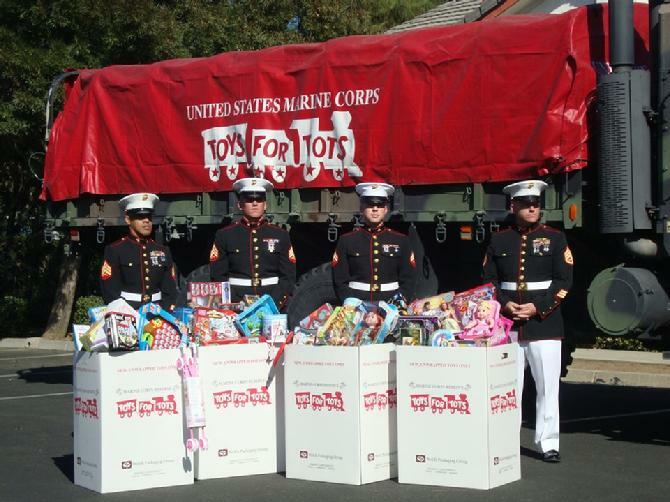 As always we have ask our Creator's Blessings for the United States Marine Corps Reserves in Fresno, CA for their hard work on the "Toys For Tots" Campaign, so that all children may receive a gift and for our organization to help members of our community. A big thank you goes out each member of the U.S. Marine Corps for hard work, dedication and sense of duty to his fellow man. Our community appreciates them for volunteering their time to the children of our communities. A special thanks to the Fresno United Way, the outstanding job of organizing "Toys For Tots" Campaign each year and for their help in making Christmas wishes happen in our community. These pictures are from some activities that we have hosted or partnered with other organizations to ensure that the children, adults and families in the Fresno County are not forgotten.